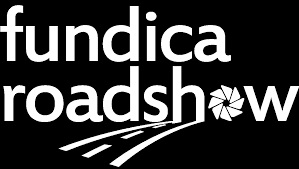 Win a ticket to the Fundica Roadshow in Toronto! You are cordially invited to attend Fundica Roadshow in Toronto on June 28th, 2018 where we will be exhibiting. The contest will run until June 26th. The winner will be randomly selected and notified on June 27th. You can learn more about Fundica Roadshow in Toronto and get your tickets at https://www.eventbrite.ca/e/2018-fundica-roadshow-toronto-hosted-by-mars-tickets-42247517462.